I thought the other one was getting rather long. Please continue your great discussions here. Please check list and let me know if any updating is needed. Thanks to all for keeping the other so prosperous, fun to read and be a part of. Who knows maybe all our talk has kicked "SteelBook" into high gear and we will see more and more in every format!! Hellsing Ultimate Series Vol. 4 (2 variations TBD) ...release date 9/16/08??? *All DVD's are SteelBookTM unless otherwise noted. *Thanks to Corihor1 for putting the initial list together. Last edited by OldBoy; 08-15-08 at 02:47 PM. Sweeney's art has been confirmed. It's the CD art below plus the fancy Beowulf border. I thought the release date for Sweeney Todd was April 1, 2008? It comes out next tuesday so you would be correct. On my way from Michigan to Massachusetts for a work trip, we cut through Canada, and of course I had to make my first ever stop at a Future Shop store. It was a little underwhelming, as things weren't very well organized and it reminded me of a poor Circuit City store. I guess I was expecting more, considering how cool the name is. Picked up copies of "Bee Movie" and "Ocean's Thirteen" Steelbooks while I was there though. Very seriously thought about "Ratatouille" too as that's one of my major wants, but I already own the regular DVD, and couldn't justify $28.99 + crazy Canadian taxes on a double dip. I'm happy with my purchase, although a couple of the plastic tabs on the circle that holds the discs in on "Bee Movie" were broken off somehow. Oh well. You could have claimed back the taxes at the border. Really? How do you do that, I didn't know anything about that? We have a minivan full of video camera equipment, and were nervous that they were going to try and switch us, so I was trying to be as non-confrontational as possible. We're heading back tomorrow, and going through Canada again... Any tips? The tax rebate for non-residents has been eliminated as of April 1, 2007, unless it's for business purposes. They lowered the tax rate for us from 7% to 5% so I guess they figured they could recoup some of that by not refunding it to tourists. Oops, my bad. I was not aware of this change. When I finally do get back home and have some free time, I'll take a picture of my collection thus far. It's definitely blossomed and I'm glad to have gotten some great deals. so, is this how the steelbook is going to look like? got this image here..
We once got ding big time from a trip from Washington state and I was dismayed they charged tax ontop of the taxes we already paid down there.. Something about they tax the entire amount it costed you to bring the item back into Canada.. If I got something shipped to my box down there, they suppose to include shipping when they calculate the taxes.. I did some research at the time (don't know if it's valid now) and apparently I could claim the WA state taxes if I resided in a province/state that didn't have provincial/state taxes (ie Alberta/Oregon).. 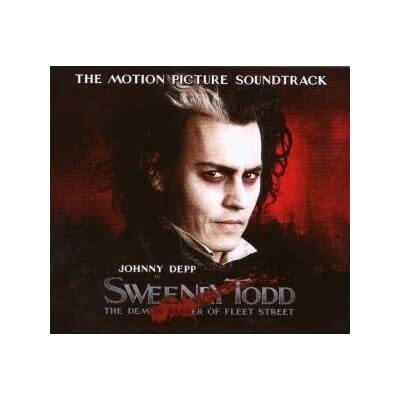 Onto steelbook news, db27 has posted he got their copies of Sweeney Todd and they will have the cover with the close up on Johnny Deep's face..
i'm not crazy about that at all. i was hoping at least it would be the pose in the chair like the regular 2-disc. what is this the 1-disc cover art? not good. 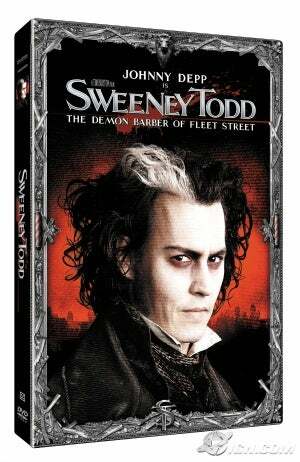 Here is a more detailed version of the sweeney todd steelbook. For those who don't visit the Bargain Forums much, someone posted pics of the steelbook from a TWEC store that broke the street date..
$24.99. I bit more than I wanted to pay.. The poster mention there'll be a MIR, so that'll knock it down a bit, maybe $5? is anyone having trouble posting to this thread? someone pm'd me and said they could not post. i have no idea why they wouldn't though. thanks guys. she is new so maybe that had something to do with it? i told her to talk to the mods. hopefully, she won't have a problem any longer. Here's a picture of my Steelbook collection so far. Soon to be added is "Sweeney Todd" and "Cloverfield" when they are released, and I have "X2: X-Men United" and "The Day After Tomorrow" on order. I'm not a guy who is in search of all Steelbooks, like howwon, because that would drive me crazy and cost way too much. I'm only in search of ones for movies that I like, or at least don't hate and am interested in. Thankfully, I've gotten good deals, too. The most I paid for any of them was about $35 shipped for "X-Men: The Last Stand" and that's about the most I'd pay for any others. Haha, damn, you had to come through and take all the attention away from my post, right after me. That's an incredible price though, probably the only person here who's gotten a better deal than me, post-buying it retail, I'd imagine. Where are you from?